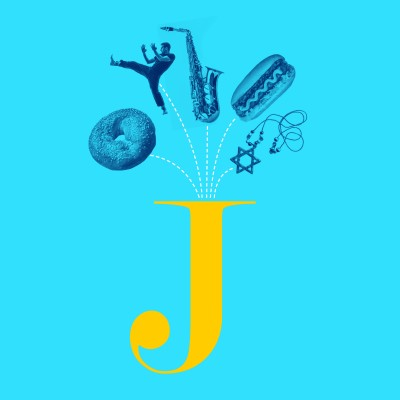 The Great Buffalo Jewbilee!, a brand new Summer Festival for the whole family, will make its debut Sunday, August 19 on historic Delaware Avenue. It’s the first festival of its kind for Western New York and takes place at the Jewish Community Center and Temple Beth Zion downtown between Barker and Summer Streets. With FREE entrance all day from 11:30 am until 6:00 pm, thousands of Buffalonians of all faiths will gather to celebrate the vibrancy of Jewish Buffalo through music, all sorts of delicious Jewish food from babkas and bagels to hot dogs and pickles-on-a-stick, entertainment, shopping and family fun. 3:30 PM Kosher Cookbook Author Amy Stopnicki is most recently the winner of the 2016 Gourmand Culinary Award for her book Kosher Taste. She will be demonstrating easy, delicious dishes direct from Toronto. Rick Recht is one of the most celebrated Jewish artists of our time playing family concerts, Shabbat Alive! services, religious school concerts, teen concerts, camp concerts, and tot concerts throughout the United States and abroad. Recht is the national celebrity music spokesman for PJ Library. Rick has 10 top selling Jewish albums, including his latest hit album, Halleluyah. His two solo children's CDs, Free to Be the Jew in Me and Look at Me, have been nationally distributed to tens of thousands of Jewish preschool-age children through PJ Library. For the past fifteen years, the Buffalo, New York-based klezmer band West of Odessa, has been entertaining audiences with the soul-searing melodies from the former Soviet Union (Ukraine, Moldavia), the Carpathian Mountains of Eastern Europe, and the repertoire of the late Jewish klezmer clarinetist German Goldenshteyn. Musicians Roberta Levine and Alan Sisselman will perform on the Main Stage at 11:30 am and 1:30 pm. This is a collection of Cantors from all over WNY coming together in a chorale, organized by Cantor Penny Myers. Catch them on the Main Stage at 4:00 pm, and sing along! Krav Maga--The Training Edge will be at Temple Beth Zion in the Rabbi Fink Auditorium that day to provide two demonstrations of Krav Maga, the Israeli martial arts sensation. 12:30 and 2:30. Visitors to the Jewbilee! will be able to watch a video of an outstanding Buffalo Theater trio at the JCC. WAY BACK WHEN, a trio of cheeky one act plays with their roots in The Book of Genesis, was assembled as a complete evening by Grant Golden, and accepted as a part of the New Phoenix Theatre's 2017-18 season about a year ago. Two of the plays, THE CREATION and WAY BACK WHEN, were written by Golden. The other, IN THE BEGINNING, was the brainchild of the late Rebecca Ritchie, a dear friend of Golden and his wife, Deborah Goldman. It was written in the 1990's, and was published in FACING FORWARD, an anthology of short plays and monologues by women playwrights, in 1995. This was its first Buffalo production. Sephardic Jewish culture existed for hundreds of years in the Middle East, and has blossomed all over the world. Enjoy specialty desserts from Rochester’s Sabra Grill, try on a Kaftan, wear some henna, and join Kohava Howard for traditional belly dancing. If the answer is “yes,” then Food Gnomes provides food & hygiene products, no questions asked. It does not raise money, and is entirely volunteer-driven. The group relies on the donation of the goods that volunteers then drive out to deliver in the community. PLEASE BRING a can or two (or a box or two) of non-perishable, and in-date (so it cannot be expired) canned or boxed goods to the Jewbilee! For more information, contact Matthew Schwartz at matt@themattschwartz.net .